Note: “Private Views” is a live performance conducted for the private view of the Interim Show. 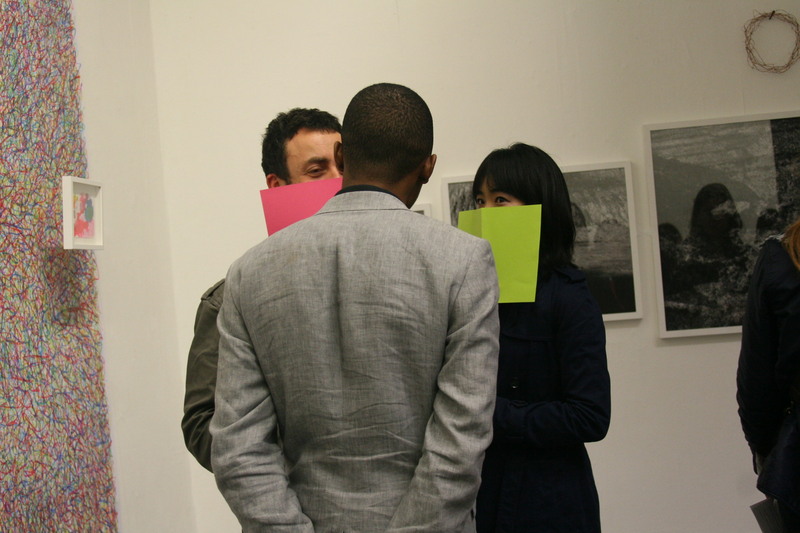 In order to see the performance, the audience has to hold the free-to-take bright colour paper up covering his/her mouth and his/her nose. Then, one of the performers will come to the audience and perform his/her chosen talent in front of the audience. To stop the performance is to simply put the paper down; the performer will walk away.